Molten Hot Dog is now up for order on Walmart.com for "Site-to-Store" or "Home Delivery." I checked both Thursday and Friday night and we still had nothing. Well, we will get started with Skylanders Hunting. Why? Here is why...very soon we should see Molten Hot Dog, Legendary LightCore Chill, and even Wave 4...As of right now, nothing it set in stone, but we should know more very soon. I can say that Molten Hot Dog IS HERE though. Wednesday he started showing up in California Walmarts. As of writing this (3 AM 2/22/13) I've tracked him via ebay all the way to eastern Arizona...It is just a matter of time for him to show up across the US. I still, adamantly predict that he will be just as easy to obtain as all Walmart Exclusives...So, just be patient and buy him for $9.99. Is still in Canada at TRU...I've yet to hear word of her crossing the border just yet. Are still overseas...we should know more on them soon. With employees seizing virtually all variants and "hot" figures, once the boxes filter in there will be ebay listings. I haven't skimmed things close enough to monitor whether or not our friends across the pond are seeing the remaining LightCore as well...Stay tuned for updates! Target had traces of a W1 restock...Plus, this is the first time in forever I have seen any Giants at this store. No Hot Head, EB, or TB, BUT they did have pretty much all of W3 minus Prism Break. Toys'R'Us: Holy cow (haven't said that in a decade or so, lol). This was the first time I have seen Eye Brawl and Thumpback in mass quantities...I'd say there were 13 Eye-Brawls and 14 Thumpbacks. They had quite a few Hot Heads and few W3 remnants, most notably Cynder. Walmart: Man do I regret even entering that place. My only motivation was of course, Molten Hot Dog. Everyhwere I went tonight was dead...we had rain, sleet, and snow over night and it was freaking cold all day. Naturally, that means some people are pre-destined to wander aimlessly through the aisles of Walmart. It has to be the most crowded I've had to deal with since the holiday season...Granted, I rarely set foot in the place, but geez...this almost makes me want to forego Molten Hot Dog. This was also about the smallest selection I've seen at this particular store. They did have some W3 singles as well as Hot Head and Thumpback, but no Eye-Brawl. This particular store didn't have any sign of a special display either. If not for the picture it would have been wasted time. Other big highlight was 2 Lightning Rod singles. GameStop: Although not pictured, they did have the best stock, albeit in the smallest quantities, of Wave 3. Just for the record, the Triple Packs I first reported back in January (5 & 6)...I have NEVER seen them anywhere since. I'm sure they are shipping, but they must be going FAST. As of starting this blog post, Part 83 went LIVE on YouTube. The uploads tonight were 81-83 which cover Intros, Stats, Upgrades, and Heroics for Cynder, Stealth Elf, and Eruptor respectively. If you take the above link you can see what Parts 84 and beyond will be...I'll continue that trend to encourage people to actually use the link! I will tell you this: Parts 89-91 will cover Chapter 16 and the final battle with Kaos...I only used Newlanders. Part 92 just does random stuff like check accolades, but the real draw will be showcasing Hatterson...who has become a popular point of discussion here lately. Currently it is the last video to be edited and ready to upload. Part 93-94 will feature Giants ONLY taking on Kaos. The plan now is to continue working on my "Hard File" to help the Legendaries level up etc. The next round of recordings will likely be upgrades and/or more intros if I land W4 characters etc. Following the upgrades I will try to 3 Star each Chapter by getting the Time Goals taken care of! After the upgrades and Time Goals, I will begin Nightmare Mode. I am unsure if I will 3 Star Nightmare Mode, or just do a quick playthrough to move on to another title. The Nightmare Mode poll has a day left to vote, but it is overwhelmingly in favor of me recording Nightmare Mode...I wasn't sure if people would want to see it...clearly it is still of interest. Man, this has turned out to be pretty popular yet again! As of writing this, most polls were getting close to 100 Votes! I think we have some killer matches in this one, and a few are within 10 votes...Boomer and Sprocket continue to remain 50/50. I will likely stretch this one into Round 2 etc, but I also plan to launch some new Poll Battles, complete with supporting vids...so stay tuned. If you've got ideas, feel free to post up! This one had become a hot topic the last few days...namely, "Why don't you open any more Skylander Cards?" Well, the answer was simple...I couldn't find any! Note that past tense in that previous sentence. After posting to both Twitter and Google + about it, guess what I found at Target tonight? Yep...Skylander cards! Granted, someone had stashed the Jumbo Packs behind Garbage Pail kids, but I took the time to salvage them...You should see 2 new "opening" vids either this weekend, or early next week. Yep...expect one. If you follow on Twitter, you likely saw me mention I watched my first movie in forever last night...Professor Layton and the Eternal Diva...I will do a combo unboxing and review of the movie...I'll keep it fairly basic...stay tuned! It should be up over the weekend or early next week as well. For the first time ever, I pulled one of my 2 "Starters" and put someone else on...That was really my hold up...I have rescued 4 of the 5 seekers and just have a little left in the last area, but was really hurting from all the missed "Elemental Challenges" since I had ONLY used Dark Spyro and Ignitor the ENTIRE TIME. Well, I am happy to say Warnado entered the picture and cleaned house on the Air Element stuff...I got the Portal out and will be working towards wrapping it up and checking out the Adventure Packs. And just for the record, I have still yet to play Sklanders Giants 3DS, lol. One SSA is taken care of, I will plug it on the 3DS and go to town. Auto Audio (In the Car/Truck): Gary Allan "Set You Free" and "Get Off On the Pain"
Home Audio (At Home): Anna Nalick's 2 AM and Audioslave's "Audioslave"
--Actually, the track right now is "Shadow on the Sun," a track I really like...especially the intro. Well, it is now really late...but hey, I got the Weekly Blog Update done on time...just like old times! I hope to edit Parts 93-100 this weekend and have them ready to upload...I will also be uploading Parts 94-86 and beyond etc. If I get the time you should see new Skylanders Giants Card Opening vids as well as the Professor Layton movie review. Don't forget you can still vote for how you'd like me to record upgrades AND of course, the Castaways vs Newlanders polls are going strong if you've yet to vote. Blog Poll #42 is pretty cool. 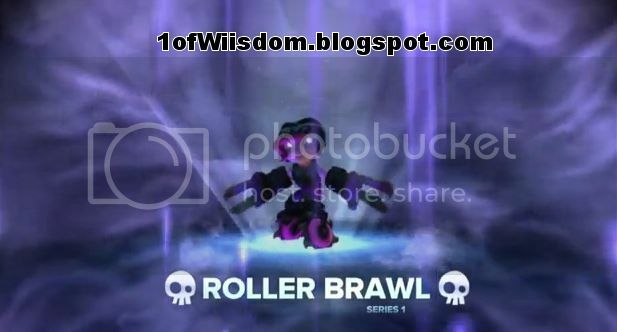 It is a structured elemental battle between the Series 1 Castaways and the Newlanders in Skylanders Giants. What I want to know is simply which of the dueling, same element Skylanders do you like the best. I think this poll is truly going to be epic!! There are some great matchups listed above! And it is the ultimate showdown...old vs new, the forgotten vs the new kid, a true clash of titans! This will pit what is "hot and trendy" vs a few fan favorites from the first game. I can't wait to see the results! 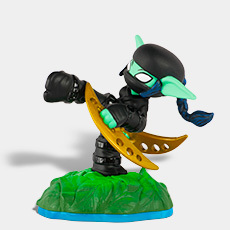 Castaway: One of the Eight Original Skylanders who was not brought back with a Series 2 repose for Skylanders Giants. 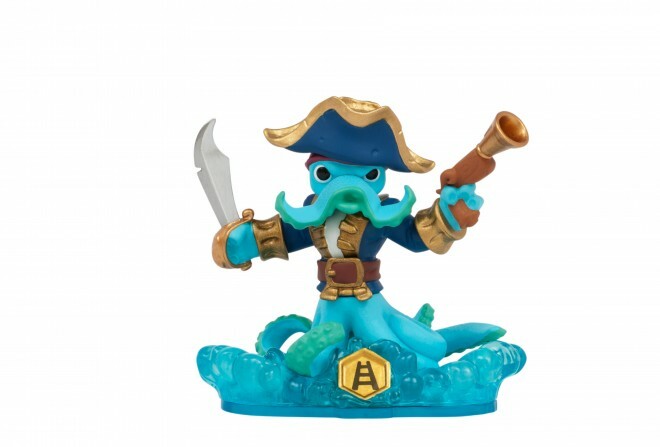 Newlander: One of the Eight Band New, regular size Skylanders introduced in Skylanders Giants. You can vote ONCE in EACH poll. That means if you are all about the newlanders you can vote for each of them. The polls are located (as always) on the RH Side of the Blog, just below the Twitter Feed. Cast your vote, spread the word, and help your favorite Skylander prevail in battle...If there is enough interest in this line-up, I will continue it on to a Round 2 etc by some means yet to be determined! The plan is to now enter into a Castaways vs Castaways and Newlanders vs Newlanders "second half of the season" if you will...Essentially each Skylander has 7 more matches to improve their mark. Camo could finish 15-0 (8-0) (7-0) while Chill could finish 0-15 (0-8)(0-7). It should be a lot of fun with some epic showdowns and what should be very competitive matches...Stay tuned for the next round! 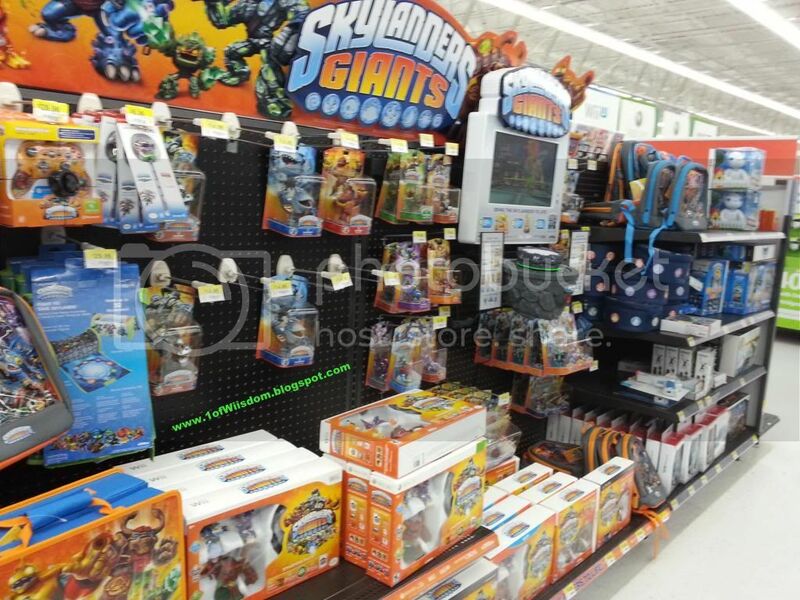 Blog Poll #41: How to Record Skylanders Giants Upgrades? Blog Poll #41 asks, "How to Record Skylanders Giants Upgrades?" Basically that is the best "short" way of asking, how would you prefer to see me record the Skylanders Giants upgrades? To expand on that so you fully understand what I'm trying to convey...I plan to start recording upgrades pretty soon. I will make each character a stand alone video, but I am wondering how you would like to see them ordered. Do you want to see all the Giants done back-to-back? Or, would you prefer to see an element done in order (Giant, Newlander, Series 2) etc. I can also just do it randomly...although in all honestly I will follow some structure. This isn't a big deal, and I may tweak it regardless of how people vote...but I was curious of your opinions and of course, if anyone had any cool ideas...If so, post them here as a response to the blog! Blog Poll #40 asked, "Who Will Win Super Bowl XLVII, the 'Bro Bow?'" Anyway, it was super close...just like the game...but by a margin of 2 votes, readers picked the 49ers over the Ravens. It would have been cool to see if that ratio maintained itself over a longer time span...Next year I'll get it up earlier...I'll do the same for the NBA Finals, World Series, and maybe a few other sporting events. Personally I wanted the 49ers to win. I will note that I am a HUGE Dallas Cowboys fan and it is hard to pull for San Fransisco because of that, BUT I also play fantasy and really like a lot of the players on SF...plus I liked Harbaugh when he QBd for the Colts. Frank Gore has been a fantasy staple for me as has Patrick Willis, who grew up a Cowboys fan. Crabtree made "the catch" against Texas back a few year ago and it is nice to see him coming along in the offense. While I did have Ray Rice this year, I am just not big on the Ravens. I've always liked Boldin...Torrey Smith was a great story this year, and I enjoyed Jacoby Jones while he played for Houston, but overall it was no contest...I wanted SF to dominate them. Oh well...win some, loose some...it was memorable (blackout, ha!) and turned out to be pretty close. Thanks to everyone who was on in the time window to vote...again, I'll get the polls up SOONER next time! Blog Poll #39 Results: Which Battle Pack Do You Like Better? Blog Poll #39 asked, "Which Battle Pack Do You Like Better?" It was basically every 3-in-4 voting for Scorpion Striker. Personally I would give it the edge as well since Zap and Hot Dog are just a better pairing. Blog Poll #38 Reults: Who is Your Favorite Newlander? Blog Poll #38, which waited or Hot Dog to be released, asked, "Who is Your Favorite Newlander?" All in all we had over 200 votes, which is great for a short termed poll. Hot Dog emerged #1, but yet again I have to question if his recent release didn't sway folks in that direction...I may poll this one again later on towards summer and see if answers change. That said, I'm not surprised that he was a top vote getter given how well he will connect with most players. I was surprised to see Pop Fizz perform so well, I had him more mid-low pack in my expectations...I assume he must have hit home with many players. 3-6 was VERY TIGHT with only 8 votes separating #3 Jet-Vac from #6 Shroomboom. I honestly thought Chill would have performed a bit better, but I was wrong. The thing I am LEAST surprised about is Sprocket. She was the least anticipated and it looks like she will likely remain a bottom dweller in most circles. Stay tuned for more on this topic and thanks to all who voted! Blog Poll #47: Which Game Do You Like Better: SSA or Giants? Blog Poll #46: Which Upgrade Paths Do You Prefer for the Newlanders? Blog Poll #45: Which Upgrade Paths Do You Prefer for the Giants? Blog Poll #44: Do You Want to see Beyblade Content? 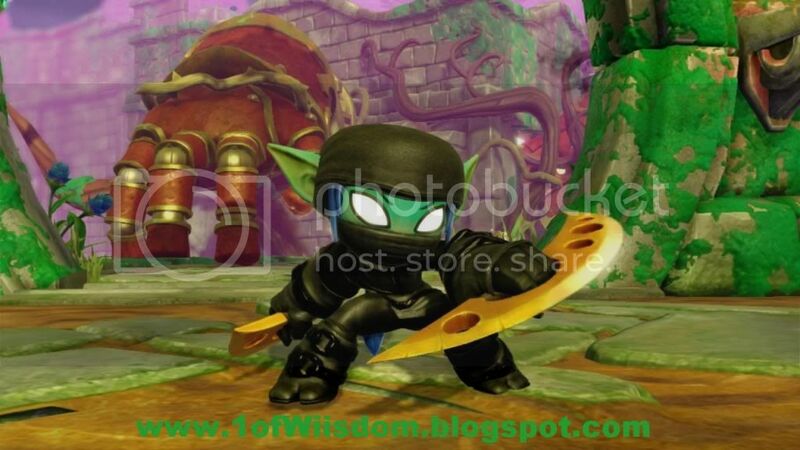 Blog Poll #43: Do You Want to See Nightmare Mode in Skylander Giants? Blog Poll #39: Which Battle Pack Do You Like Better? Blog Poll #38: Who is Your Favorite Newlander? Blog Poll #37: Kaos Battle Dilemna? Blog Poll #36: Do You Like Skystones? Blog Poll #34: Wii U: What Are You Buying? Blog Poll #33: Which Giant Do You Want the Most? 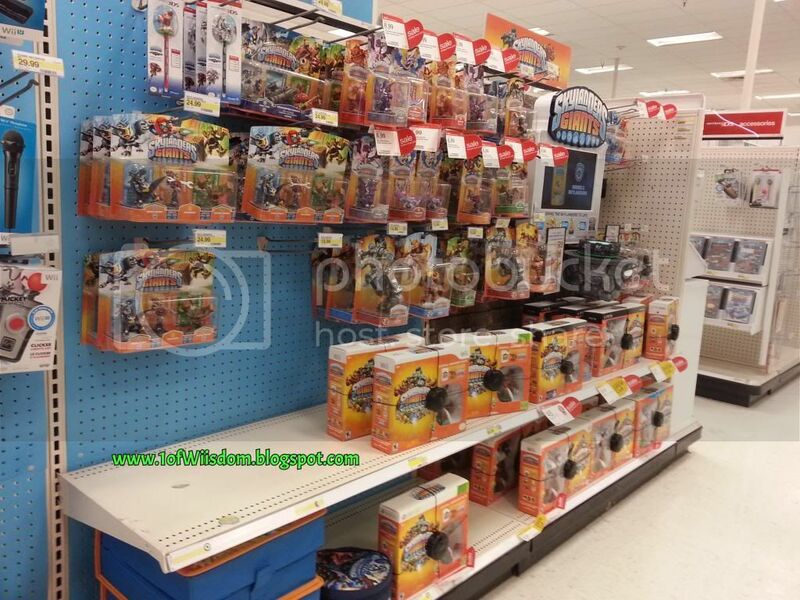 Blog Poll #32: Which New Skylander Do You Want the Most? Blog Poll #31: What Are You Buying for Giants? Blog Poll #30: Skyward Sword Recording Dilemna? Blog Poll #28: Who is Your Favorite Crystal Clear and Glow in the Dark Skylander? Blog Poll #27: Mario Kart Wii: What Do You Want to See? 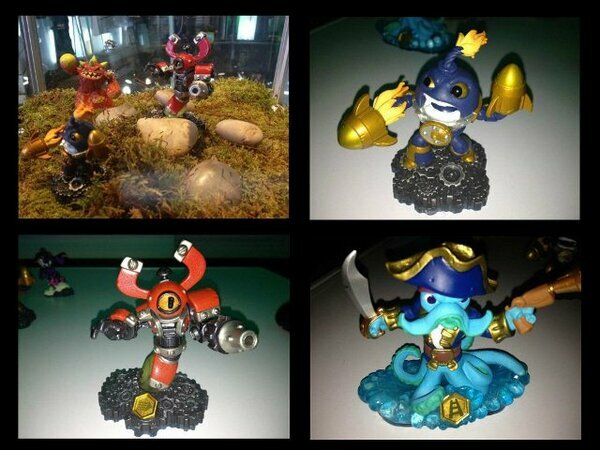 Blog Poll #26: Who is Your Favorite Skylander? Blog Poll #25: Which Adventure Pack and Adventure Pack Character are Your Favorite? Blog Poll #16: Which Version of Spyro is Your Favorite? 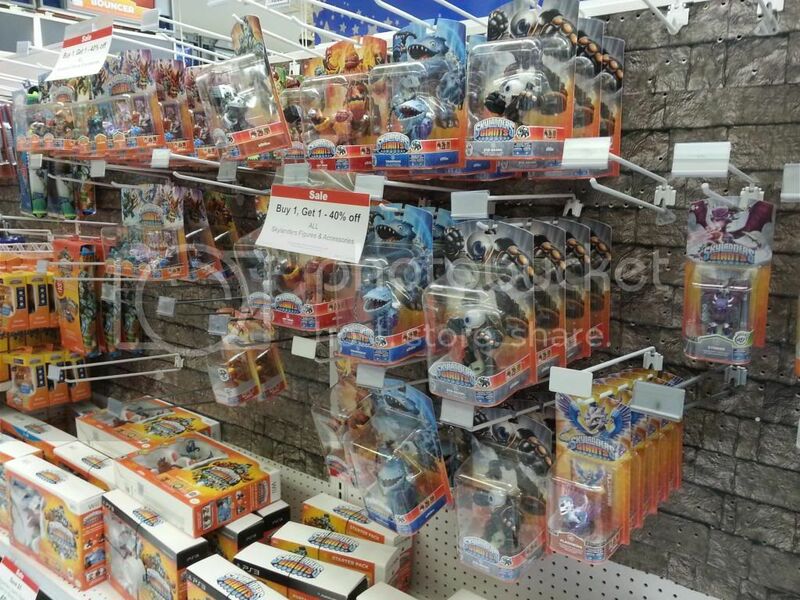 Blog Poll #13: Who is Your Favorite Silver Skylander? Blog Poll #12: Who is Your Favorite Legendary Skylander? 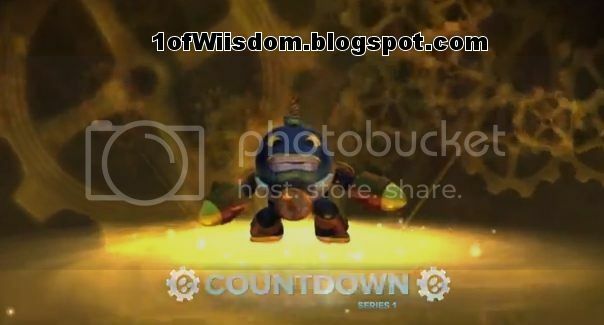 Blog Poll #10: Who is Your Favorite Life Element Skylander? 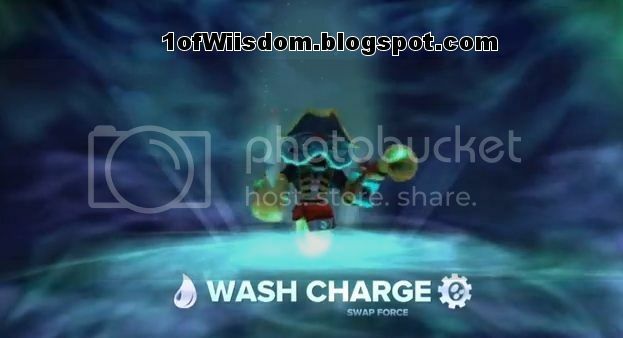 Blog Poll #8: Who is Your Favorite Water Element Skylander? 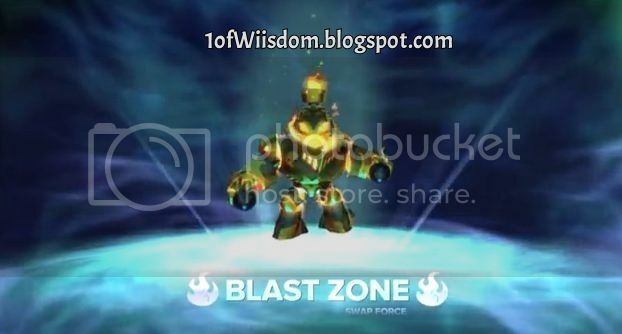 Blog Poll #7: Who is Your Favorite Earth Element Skylander? 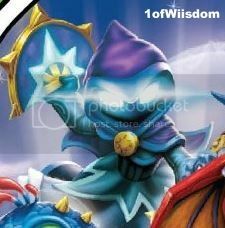 Blog Poll #6:Who is your Favorite Undead Skylander? 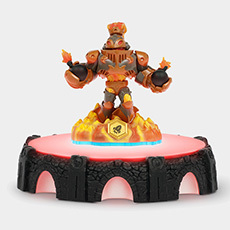 Blog Poll #5: Who is Your Favorite Tech Element Skylander? 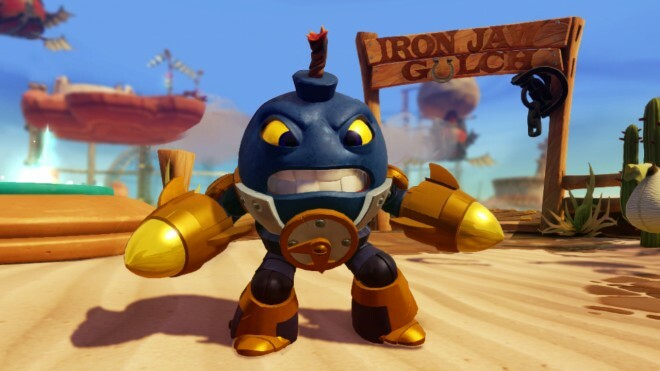 Blog Poll #3: What is Your Favorite Skylanders Element? Blog Poll #2: What Nintendo Game Do You Want the Most This Holiday Season? Blog Poll #1: Which Do You Prefer: Wii Fit Plus or Wii Sports Resort? Hey Folks...long time no regular old blog post. I will be taking care of that tonight, hopefully as I will update you on the Skylanders Giants Playthrough, recap some polls, launch some new polls, and of course make sure you've seen the two posts on Skylanders Swap Force (one with basic info, and another with the character roster). 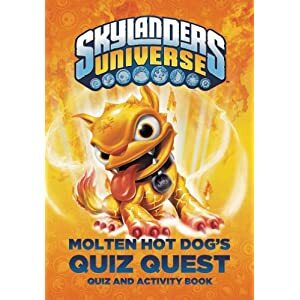 For the time being, how about you take a gander at the Walmart Exclusive Molten Hot Dog! So, how do you like Molten Hot Dog? The best news here is that this is a Walmart Exclusive. While I am not a big fan of the chain (mainly bc they are always packed), it is a great thing because they are about the only chain that does a good job of keeping their variants on the shelf. With that in mind, I do not think it will be tough to land Molten Hot Dog. The other big perk to this set up is that unlike many had speculated (myself included) we will NOT have to buy a Scorpion Striker Battle Pack at Walmart to land Molten Hot Dog. Presumably they should start having them after the GameStop window closes and simultaneously have the Molten Hot Dog Single Pack for those looking to add him to their collection, or for those who simply don't care for the battle pack and magic items etc. This could change when I see him in person, but right now, I have to give my personal preference award to regular old Hot Dog...he just looks better in flame red...the yellow looks like he rolled around in mustard. Nonetheless, I look forward to adding him to my collection to have both upgrade paths active at the same time! Before we get too far away from Molten Hot Dog, I want to bring up the good chance that we see Jade Flashwing, Polar Whirlwind, and Scarlet Ninjini show up as other store exclusives....The most likely outlets being Target, GameStop, and yet again Walmart. These are known, in-game variants AND distinct from others like Stone Zook, Sparkle Sprocket, etc. I had long ago speculated we might have Triple Pack #9 be Molten Hot Dog, Jade Flashwing, and Polar Whirlwind...I guess that isn't as likely now, but it would have still been a nice gesture to fans from Activision IF it came with acknowledgment PRIOR to all the others being released in single pack form. Before we get too wrapped up on an in-game variant, what about the "yet to be released" Skylanders? Great question! At this point no one really knows when Wave 4 will hit. I would hope that we would see (finally) S2 Spyro, S2 Wrecking Ball, and S2 Drobot along with perhaps another LightCore release (Pop Fizz, Hex, etc). We still need TRU to drop L-Chill. I have to wonder if she won't be treated much like L-Trigger Happy. Ninjini was given away at TRU in Times Square (yes I know, I don't live in New York either...and if I did I would be at work on a Tuesday). There are all sort of ways to question what they did, why the did it, what they were thinking (if they were thinking), and how it doesn't cater more to scalpers than core fans, and in particular children (how many 8 year olds get to hop in their Civic or hail a taxi and stand outside of TRU in Times Square for 4 hours in the cold while missing Math, History, and Science class? But I digress...). 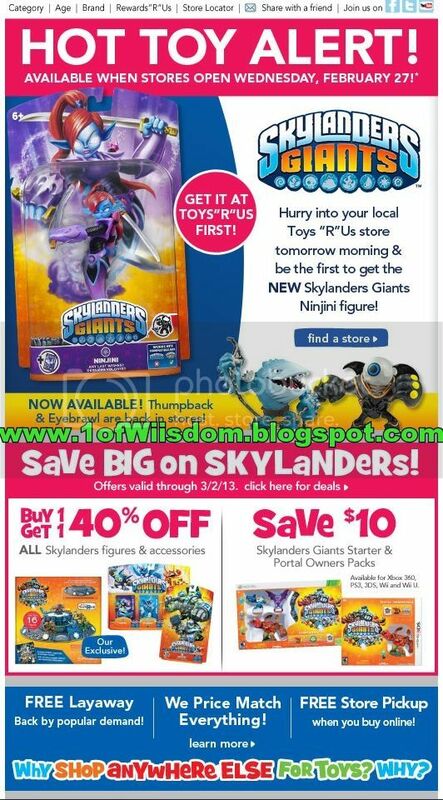 Apparently, despite completely botching almost every BIG Skylanders event locally with 2-5 of each "new" and "highly demanded" figure, TRU and Activision stepped up with a LOT of Ninjini figures...most of which are now on ebay for 10x retail. Again though, regardless of how stupid the timing was, it was a decent gesture and a nice way to kick off the announcement of Skylanders Swap Force and more importantly, their presence at the Toy Fair. I was just on Amazon checking around on some things and if you have not gotten Thumpback or Eye Brawl, it looks like you can order both right now as they will be in stock on February 11th. Also of note is that GameStop has had them very regularly now (online). You should be able to land them much easier now than just a few weeks ago. That said, I've still never seen them in stores aside from when I got them. Also in-stock right now on Amazon and GameStop is Light Core Shroomboom! I saw him for the first time in person tonight at Target. It looked like they had just gotten a shipment of LC Shroomboom and Jet-Vac, as well as the others with their new "I Light Up" stickers. There was still no signs of popular characters like: Slam Bam, Terrafin, Fright Rider, Chill etc. I was checking for Cassie and Flameslinger is among those missing in action as of late. My local Target FINALLY had Giants again (still no Granite Crusher...I truly think I got the last two they had and have had on launch day). It was of course Swarm, Bouncer, and Crusher. The only S2 from Wave 3 that seems to be easy to find is Cynder...that is kind of to be expected with most people getting the Starter Pack instead of the Portal Owner's Pack. The most common in my area remains Sprocket...she is like the Boomer of Giants it seems...just doesn't sell that well. Stump Smash was around and a very small number of single Pop Fizz characters were present....I would almost swear that the blue is darker than the one I got in a Triple Pack, kind of like what we saw with Stump Smash last time. At another local store the most common is Drill Sergeant, which oddly enough, is never present at Target...go figure. Well, I had planned to upload videos tonight, that isn't happening...these videos have been ready for a LONG TIME. I think where we left off I am ready to upload Chapter 13 "The Oracle." As you may have guessed, this one will consist of several parts. Following those chapters will be the Intro and Heroics on Thumpback and Eye Brawl etc. The big news of the night in regards to the playthrough is what happened last night. Finally, ALL of the GIANTS and NEWLANDERS are ready to battle Kaos! They are still 100% box stock in terms of upgrades, BUT I have them done with all of the Speed and "tough" (ie Drobot, Double Trouble, and Zap) Heroic Challenges. The next time I record it will probably be the final chapter and battle vs Kaos. That said, after wrapping up the key heroics last night, I went thru Chapter 8 in my "Hard" file. I got some key things done...First off, the part with the fiery furnace allows you go go in and back out over-and-over, which allows Hot Dog to complete his top tier quest of chasing birds away. Speaking of birds, I replayed the level 2 additional times to get Jet-Vac's top tier quest taken care of with all three figures (Jet-Vac, Legendary Jet-Vac, and LC Jet-Vac). All-in-all a very productive night! I plan to eventually make a new blog post covering quests and offering tips etc. Stay tuned for that. Auto Audio (In the Car): Gary Allan "Set You Free"
Chapter 9 "Kaos' Castle" on the Hard File of Giants (Wii)...then off to bed! That said, as soon as I get some free time I'll start the next batch of vids (Ch 13, 14, and 15) uploading. I also hope to record the final battle vs Kaos very soon. The plan is to do it multiple times (ie box-stock Newlanders, box-stock Giants, castaways (because I like so many of them), and then repeating with upgraded Newlanders and upgraded Giants). And fear not, I havent forgotten about the Adventure Packs...it is just so nice to do things numerically in-order I am going to take them on AFTER Kaos. I will have new polls up this weekend! Well, I hope everyone has had good luck landing Thumpback and Eye Brawl. 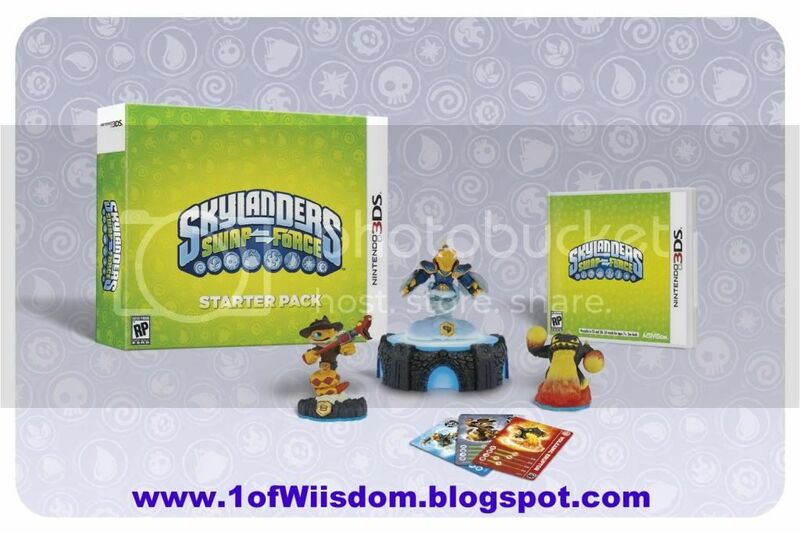 Similarly, if you haven't already checked out my blog posts on Skylanders Swap Force, please do so! I am off to Kaos' Castle!